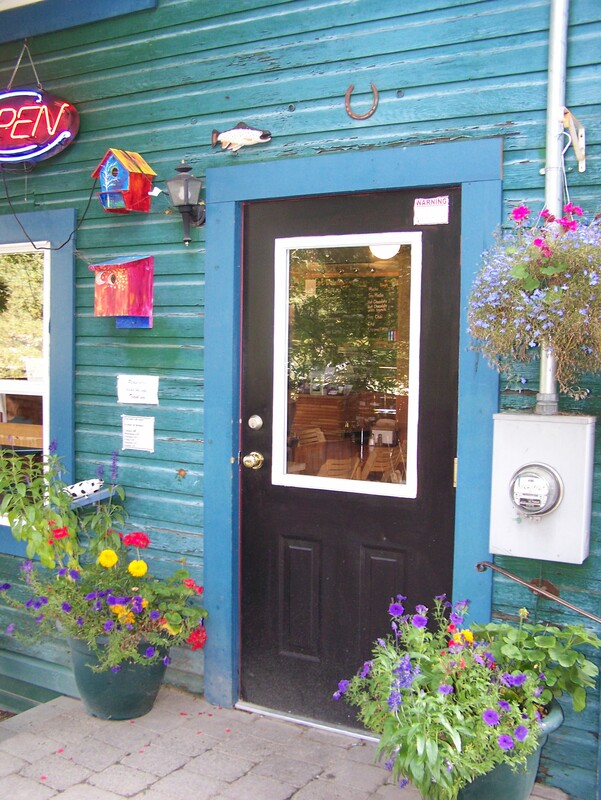 Frog Peak Café opened in 2005 and has been happily serving hungry customers since. Matthew Theoret and Laurel Giasson purchased the building in in 2003 and spent 2 years renovating the over 100 year old building. There is a 1 acre of gardens and patios welcoming you to enjoy yourself under the maple trees and black locust trees. In the winter sit in our cozy café and admire the ever changing local art work on the walls as you sip your coffee and enjoy your meal. The upper part of the building is the Frog Peak Guesthouse with a beautiful furnished suite and an ever-changing display of local artwork decorating the walls. The suite has its own kitchen, a master bedroom and living room with television and high speed Internet for your convenience. We look forward to serving you. Room service available.